Diagnostic use of radiation has progressed from Wilhelm Roentgen’s image of his wife’s hand in 18951 to 4-dimensional images of cardiac anatomy, function, perfusion, and metabolism. Imaging is widely used in the twenty-first century, with growth stimulated by the clinical insights gained for patient care. 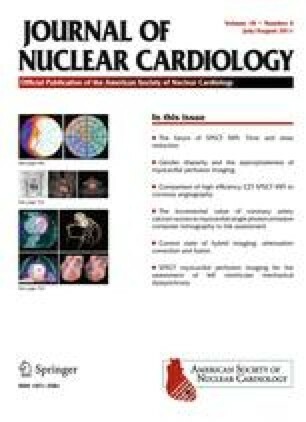 Cardiac imaging with nuclear medicine techniques and x-ray computed tomography (CT) results in the largest exposure of ionizing radiation to the US population. In fact there was a 700% increase in radiation exposure to patients from 1986 until 2006. Radiation exposure is increasing at rate of 5% per year with 25% collective dose.2,3 This includes CT growth at about 10% per year. Cardiac CT has accounted for 1.5% of radiation exposure, and is increasing gradually.